With the imminent enforcement of the new GDPR regulations, a stock market announcement from Dillistone Group Plc made clear the scope of the work being undertaken by executive search firms in preparation for the new rules. 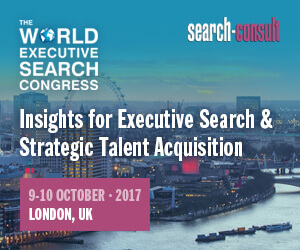 •	GatedTalent named as the most “successful new product launch in the 30-year history of Dillistone Group”. 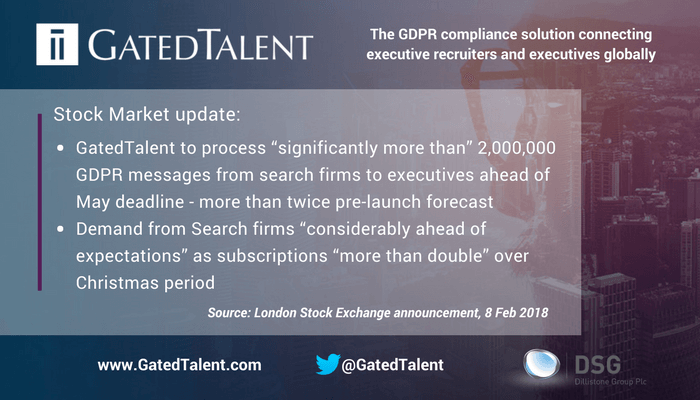 GatedTalent is a GDPR compliancy platform that allows recruiters to engage with executives, managing “Consent” and “Legitimate Interest” workflows while refreshing legacy data. The product is fully integrated with the FileFinder Anywhere Executive Search CRM system.